Material handling is a common cause of unproductive time on the job site, consuming nearly 40 percent of a crew’s efforts. Save time, increase productivity and keep supplies close on the job site with wheeled boxes and carts from Border States. How much installation time is wasted by employees walking to retrieve material needed to perform their job? 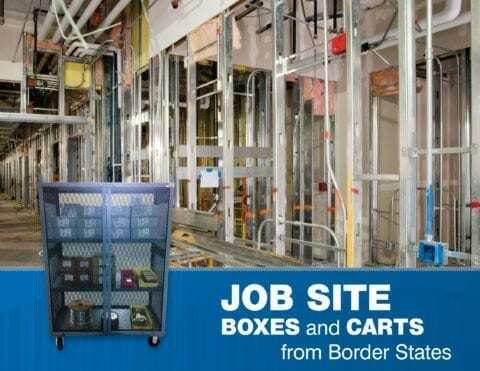 Job site boxes and carts from Border States save time on your job because crews no longer have to leave the job site for material replenishment. Less time spent searching for and handling material means getting the job done more quickly and efficiently. Our job site boxes and carts are easily moved throughout a job site to keep tools and supplies handy. They help keep material organized and reduce packing debris at the site. They also include quality locks, reducing the chance of material theft. Reduce material-handling time required on the job site. Access efficient and organized material handling for job sites with limited space. 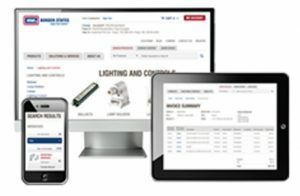 Capture a quick view of material levels for easy replenishment. Update the material mix as job phases change, reducing the amount of inventory loss, damage and need for returns. Save time on your next project. If you want secure and easily accessible material, Border States job site boxes and carts are the solution for you. For more information, contact a Border States Account Manager near you.